A stroll or bike ride around Pittsburgh’s downtown or a ride up one of its mechanized inclines definitely offers a picture of the city’s 19th- and 20th-century industrial past, but of course Pittsburgh was important long before there were any steel mills. 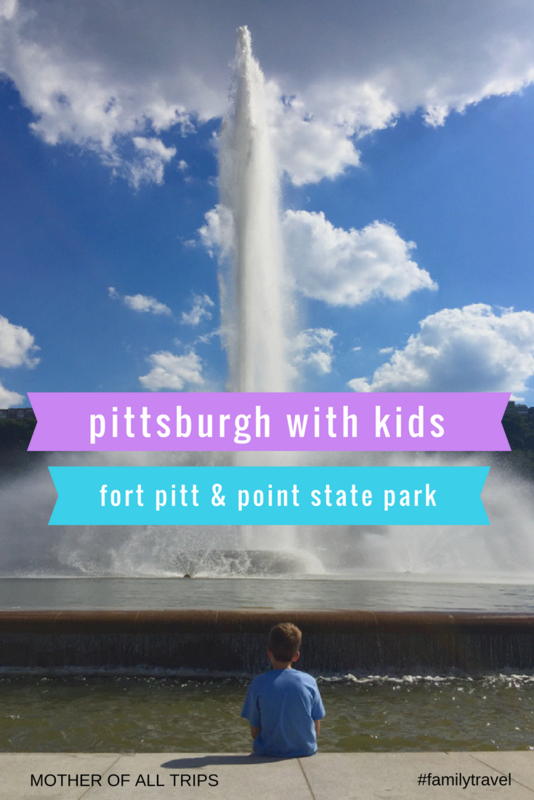 And since my older son Tommy is a big history buff (as is his mother) the three of us decided after lunch on our second Pittsburgh day to ride our bikes back over to Point State Park and the see what we could learn at the Fort Pitt Museum. This museum is a wonderful place to get a primer on Pittsburgh’s 18th-century origins as well as the region’s role in both the French and Indian War and the American Revolution. In 1754 the British arrived at the point and built the first of a series of forts. They were quickly overthrown by the French, who mere months later constructed Fort Duquesne, which they held until 1758 when they set fire to the fort before abandoning the land to the British (including a young George Washington) who built what was then the most advanced fort in the new world, calling it Fort Pitt. 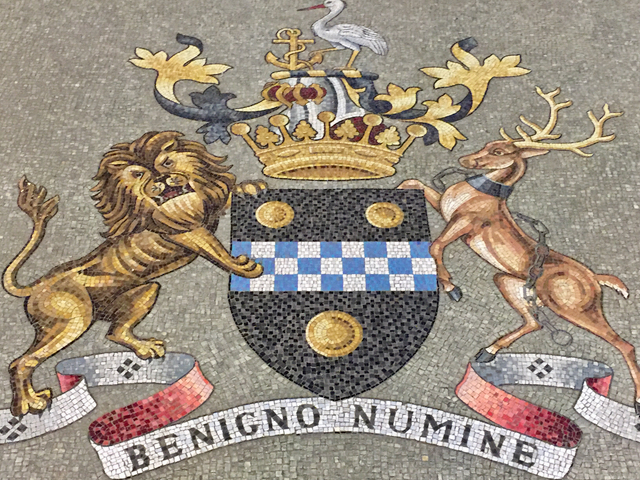 The coat of arms for William Pitt, 1st Earl of Chatham who was Prime Minister during the French and Indian War. Can you tell where the Steelers get their colors from? The British used the fort until 1772, when they abandoned it to private ownership. The Continental Army ended up taking control of the fort and using it as their far western outpost during the Revolutionary War. 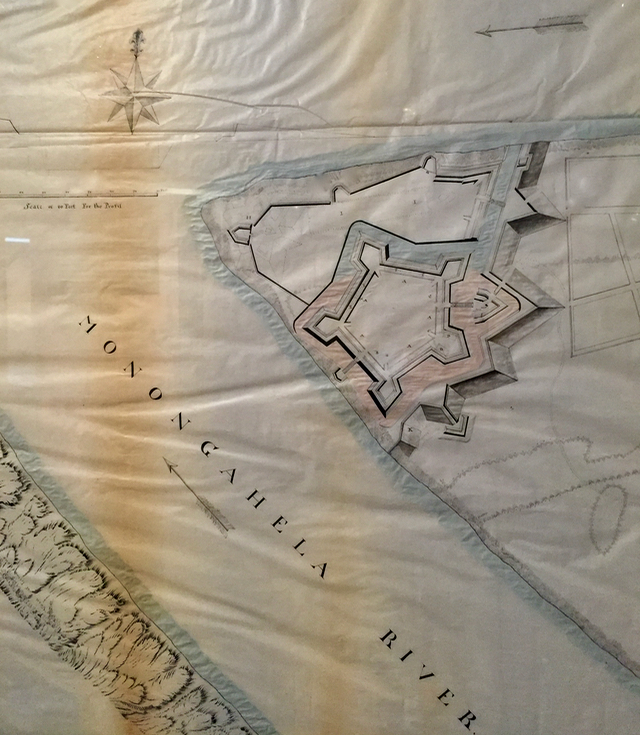 The original fort is mostly gone, but this map shows its shape. 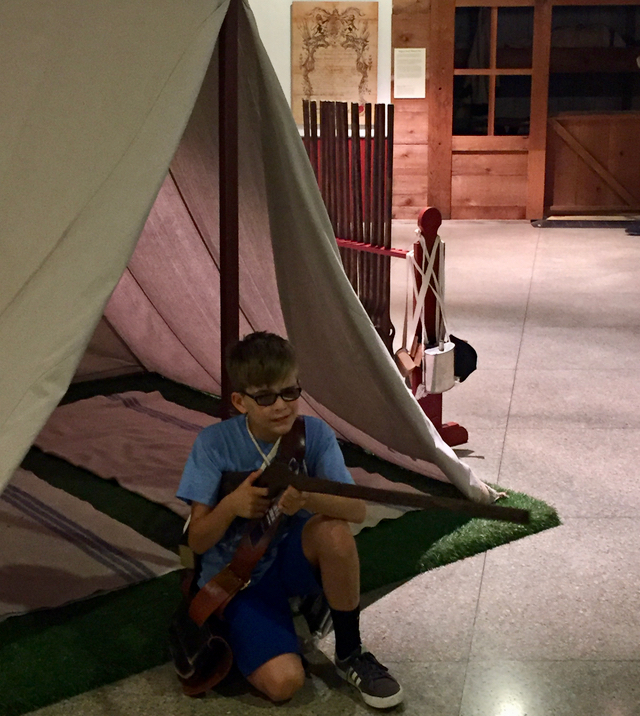 The first floor of the museum includes a detailed replica of Fort Pitt with audio explanations about all its component parts. A nearby exhibit offers a chance to see what day-to-day life was like in the fort in the fort during the middle of the 18th century. Do you think he’s ready for frontier life? 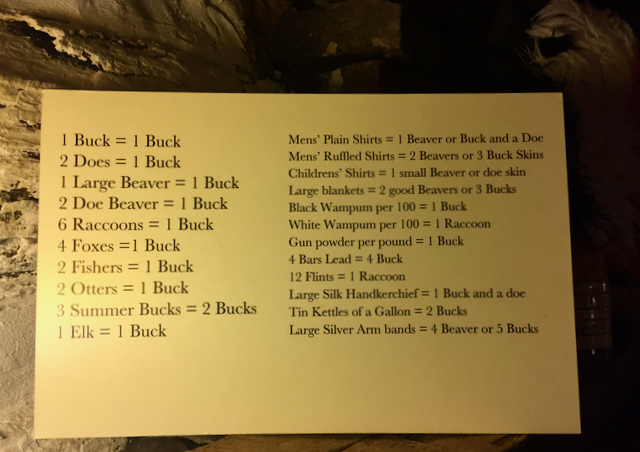 There are canons, replicas of the barracks, and a trader’s cabin – in addition to being an important military outpost, the fort was also an economic center where colonists and native people traded everything from furs to firearms. It was here that we all learned why American dollars are called bucks. I’ll take two childrens’ shirts and 4 bars of lead please…. The exhibits upstairs tell the story of the struggle for the region between the native people, the French and the British using artifacts, video, placards and maps. We probably spent about two hours inside the museum – Tommy and I read just about every panel, and Teddy had retrieved a scavenger hunt from the front desk that kept him occupied for most of that time as well. One of the more fascinating exhibits told the story of European colonists who were captured by the native peoples, sometimes for ransom. It was full of complicated and compelling narratives of the fraught relationships between the people who lived at what was then the frontier. 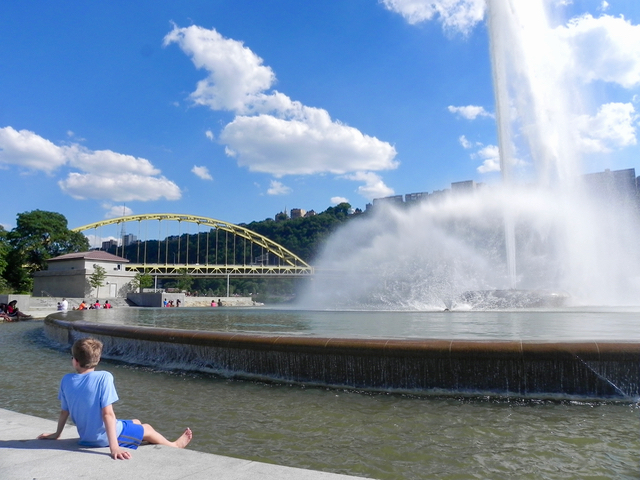 Point State Park is a perfect place to cool off on a summer day. When we were all finished, we retrieved our bikes and blinking in the bright sun, headed back into the 21st century, riding to the end of the point where Teddy promptly removed his shoes and dipped his feet in the large fountain. It’s a great spot to contemplate what Pittsburgh was like before steel bridges crossed its rivers. It took us about fifteen or twenty minutes to ride back to the Hotel Monaco. By now I felt quite justifiably tired and triumphant – not only had I successfully navigated the boys all over downtown Pitttsburgh on bicycles, I had put the bikes back on the rack on my car, a task usually taken care of by my husband. 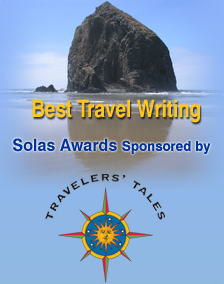 That I did this on the street in front of the hotel with the valets watching me, amusement in their eyes, only made my success that much sweeter. I was ready to relax a bit. My well-earned glass of prosecco. Happily, I had come to the right place. 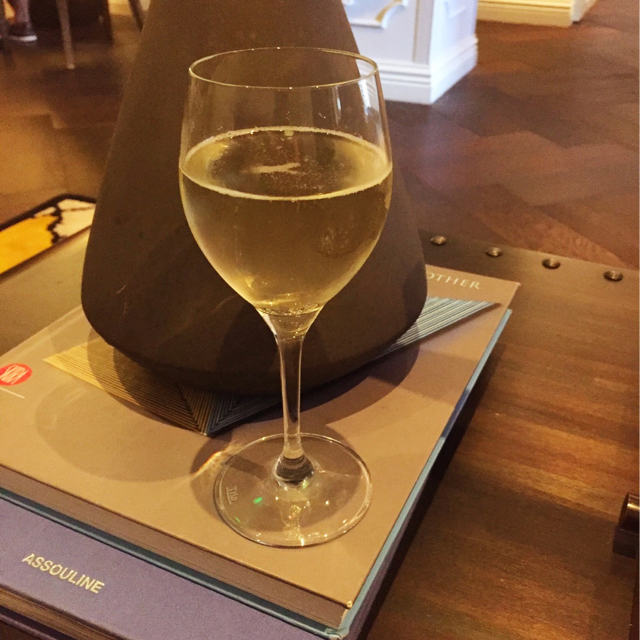 One thing I absolutely adore about Kimpton Hotels is their evening wine hour, while these vary slightly in their particulars from hotel to hotel, one thing is always the same: they offer a chance to sip something tasty while kicking back in style. The Hotel Monaco in Pittsburgh does not disappoint on this front. In addition to beer and wine, their wine hour features flavored syrups to create custom iced teas. 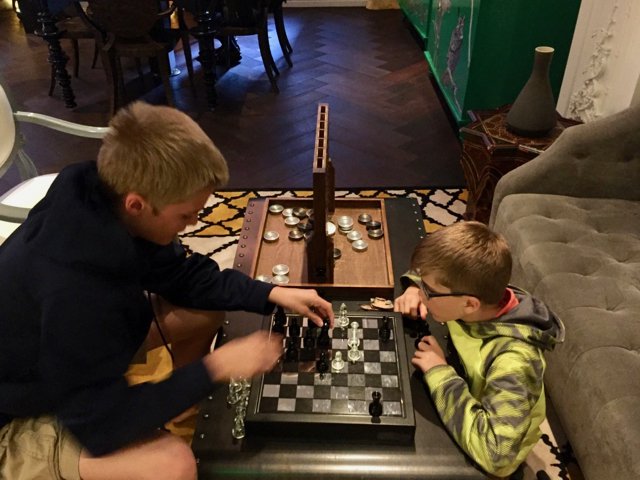 The boys quickly became involved in a game of chess while I sipped prosecco and wandered around and looked at the quirky decor. There are always fun things for kids to do in Kimpton Hotel lobbies. For dinner we decided to go a bit farther afield than we had during the rest of our visit and took an Uber car over to the far side of the University of Pittsburgh campus to Dinette, situated in the rapidly gentrifying East Liberty neighborhood. The seasonal, fresh pizzas and salads were worth the trip, even if they were out of roast peaches for the burrata salad. It didn’t feel like much of a compromise to instead eat the tenderest butter lettuce and corn. 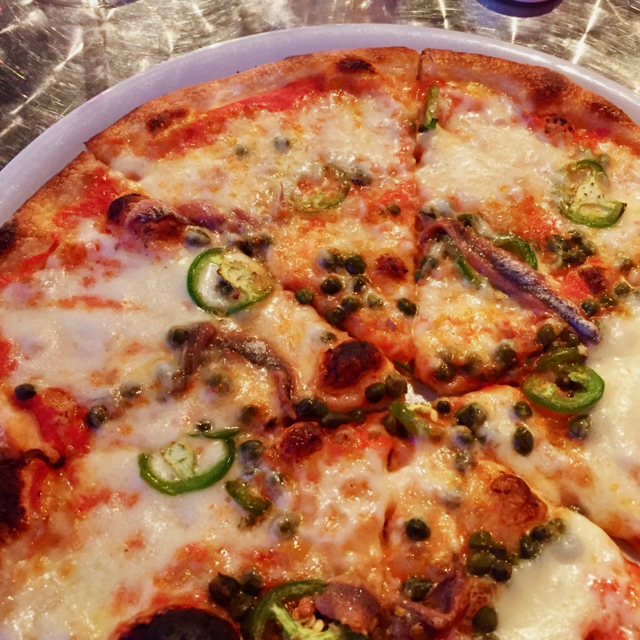 And since the pizzas were sized for one person, I was more than happy to order one with anchovies and jalapeños. So many yummy, grown-up things on this pizza. 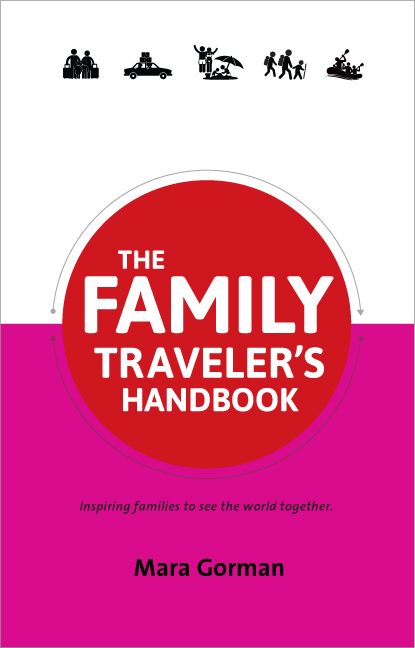 I was just patting myself on the back for another fun day of family travel as a solo parent when we left the restaurant. But what was this? The Uber app wasn’t working. It wouldn’t load. After trying unsuccessfully for 25 minutes to summon a car I realized it was getting quite late and that the streets around us were pretty empty – in fact I didn’t see a single cab. I wasn’t quite sure what to do so we headed back to the restaurant, which had since closed. Happily the Sonja Finn the chef-owner was sitting at the bar and one of the kind kitchen staff (I regret to this day that I didn’t get his name – thank you again kind stranger) called us a car using his Lyft app, refusing to take any money from me for it. While we waited for our ride, Sonja took Tommy upstairs to see her rooftop garden where that divine lettuce I had eaten earlier had grown. Utterly exhausted and satisfied from our day, we were so happy to sink into our luxurious beds back at the Hotel Monaco – in addition to adorable decor, our room boasted wonderful soundproofing, perfect for a family who had filled themselves up and worn themselves out on plenty of Pittsburgh fun. Thanks Jennifer! I ate every bit of it – so yummy. Fantastic post Mara! 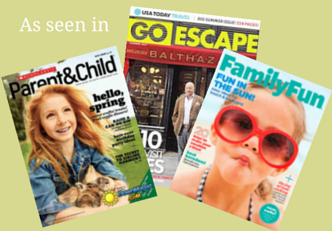 I had a great time reading it! and Pitzza looks yummy. Sounds like a wonderful family trip to Pittsburgh! Museums are indeed a great place for children to learn and have fun. 2 days ago by motherofalltrips Window, Mystic. 4 days ago by motherofalltrips Terrible drive today but made up for it by eating all the (uh-mazing) pizza.